A few weeks ago, we shared the great news that Melanie Lockert would be our special guest at Plutus Voices Los Angeles, the second in our series of Plutus Voices events in 2019, following our successful preview in New York City last November. 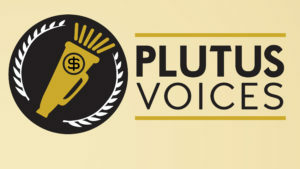 The Plutus Foundation will present Plutus Voices Los Angeles on Thursday, April 25, 2019, at 6:00 pm in Irvine, California. The event will include networking for the financial media, drinks and snacks, brief TED-style talks from our speakers, and a group activity that will get everyone talking. Register today. Tickets are free but limited. A waiting list is available if tickets are currently unavailable. We’re excited to announce today that our next speaker will be Winnie Sun, a financial adviser and founder of Sun Group Wealth Partners. Winnie has been ranked as one of most influential financial professionals on social media today. 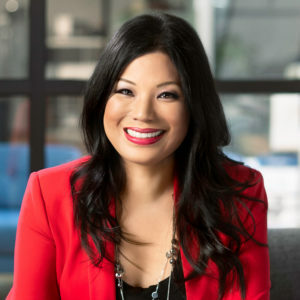 She’s the regular personal finance contributor on Good Day LA, Forbes, and a CNBC FA Council member, and her popular financial social media chats average 150 million impressions per hour. Winnie will join Melanie Lockert to speak on the topic of mental health and personal finance. They will share stories from their own experiences and perspectives and guide the bloggers, podcasters, authors, and speakers in attendance at the Plutus Voices event to make the biggest impact on their audiences and will participate in the group activity we have planned. Curious about Plutus Voices? 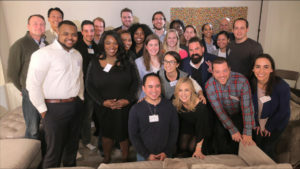 Take a look at the video below from our Plutus Voices NYC event last fall, or order the complete set of materials. The Plutus Foundation is bringing Plutus Voices to Los Angeles. Get the details and reserve your spot. The Plutus Foundation is bringing Plutus Voices to Phoenix. Meet the speakers and reserve your spot.